Astarte Moon Inspirations a life closer to nature's rhythms : 10 Ways to celebrate Samhain, with family and friends or on your own. 10 Ways to celebrate Samhain, with family and friends or on your own. Have a Pagan New Year party to celebrate the start of the Pagan new year. Practice divination using tarot or runes to help you solve a problem or understand yourself a little better. Visit the grave or site of lost loved one. Place an offering there such a fresh flowers to honour their memory. Find out more about your ancestors. Ask one of your oldest living relatives to tell you more about your family. Join ancestry.com to start tracing your family tree, you may be fascinated by what you find the further you go back in your family’s history. Prepare a Samhain feast. You can do this alone or with family and friends. Set a place for any deceased love ones that you wish to honour. After the feast leave some food outdoors as an offering to the dead. 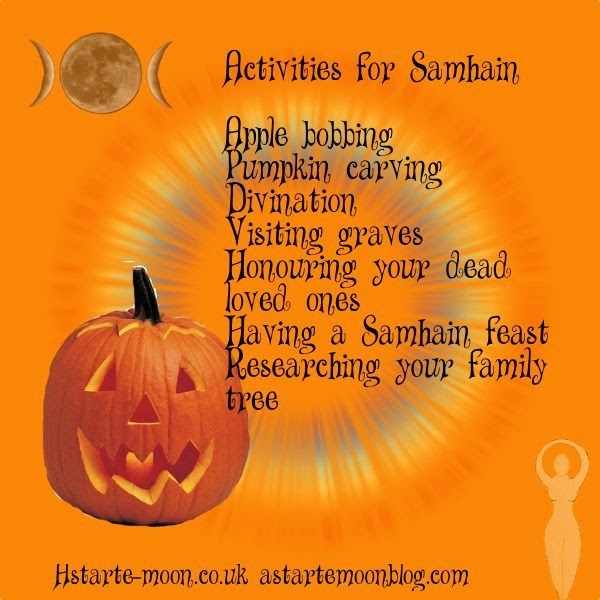 Carve pumpkins, this is a wonderful Samhain activity all the family can enjoy taking part in. Tie ring doughnuts from a low lying tree in your garden and challenge people to eat them whole without dropping any pieces. 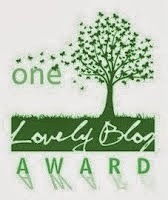 This is an activity guaranteed to be popular amongst young and old alike! Light candles in your home for all the loved ones you wish to think about this Samhain.